I've seen a number of people use avocado as a sandwich filler, and so I have gotten used to this although initially I found it odd (as did most Filipinos here in New Zealand, I'm sure). You see, avocadoes are consumed differently in the Philippines. It's mixed with evaporated milk and sugar and thus eaten as a sweet treat. It's never used in sandwiches or salads. We've bought some avocadoes in the past but I consumed it the 'traditional' way because it's quite an expensive fruit here and I didn't think it was worth experimenting on. Until a friend gave us some free avocadoes! Lightbulb! And then I thought, why not make it something more special, like a BLAT (Bacon Lettuce Avocado Tomato) sandwich? We did not have Bacon, so I settled for Spam. I wanted to call this SLAT but it did not sound as catchy. So it will be called the more-than-avocado sandwich. The result? A tasty, yummy, creamy sandwich. I liked it so much that I brought one to work for my afternoon tea. It was certainly filling. 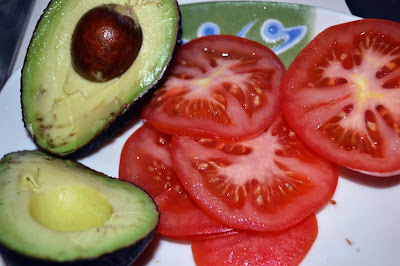 The avocado gave it a different taste and texture. I like it. 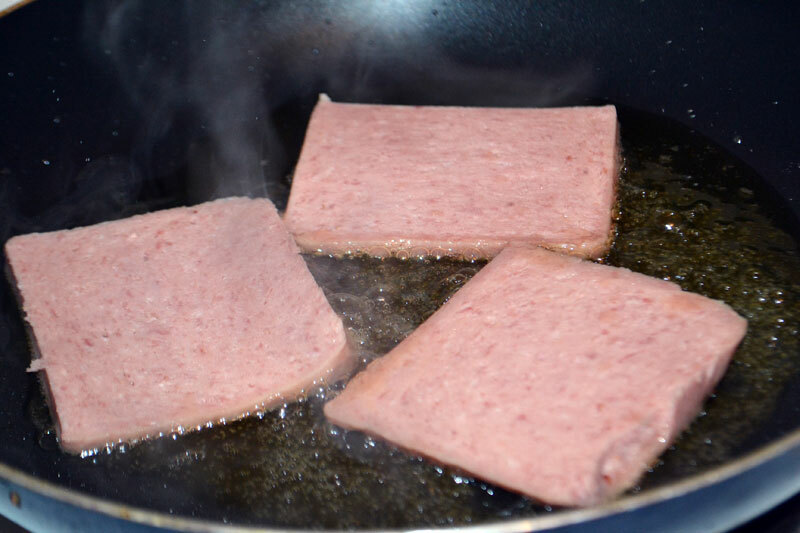 Fry the spam until lightly browned. 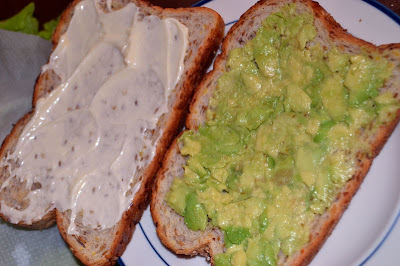 Spoon the avocado onto one toasted bread, and spread avocado on another. 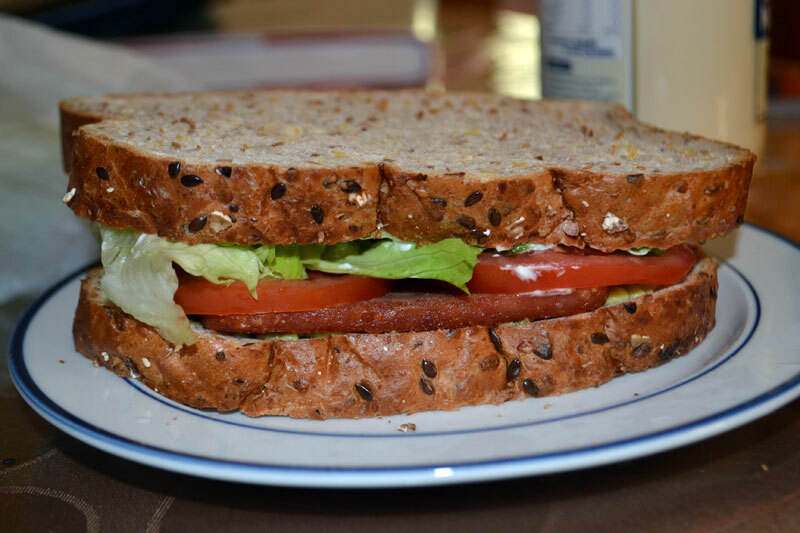 Pile the lettuce, spam, and tomatoes between the bread pieces. Enjoy! 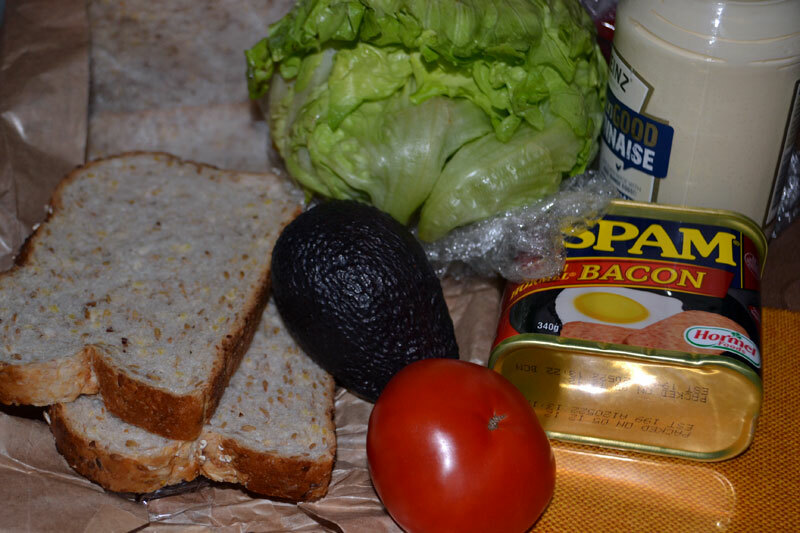 When bringing to work, keep the veggies separate from the bread and spam. Obviously, the avocado and mayonnaise are kept separate too. This keeps the bread from going soggy.